Students will show their spirit and dress up each day! Enjoy your break! 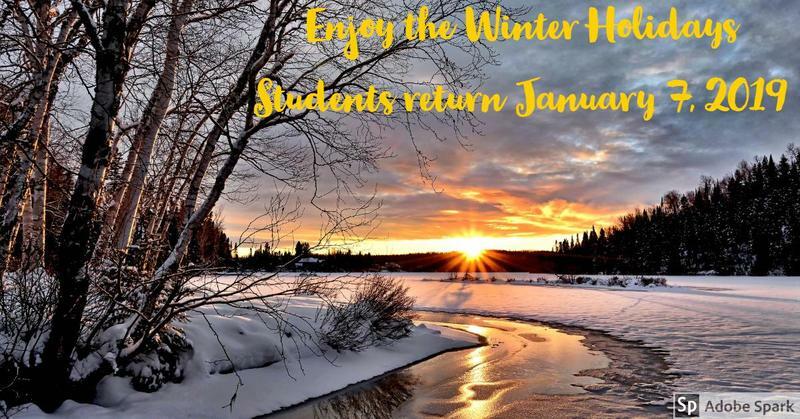 Students return to school on January 7, 2019! Join us for a night of fun on Thursday, December 13, 2018. We will journey through a reading wonderland! 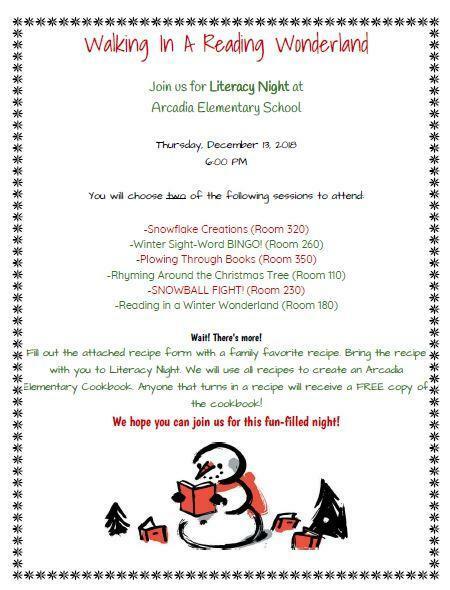 Please bring a favorite family recipe to add to our Arcadia Elementary cookbook. 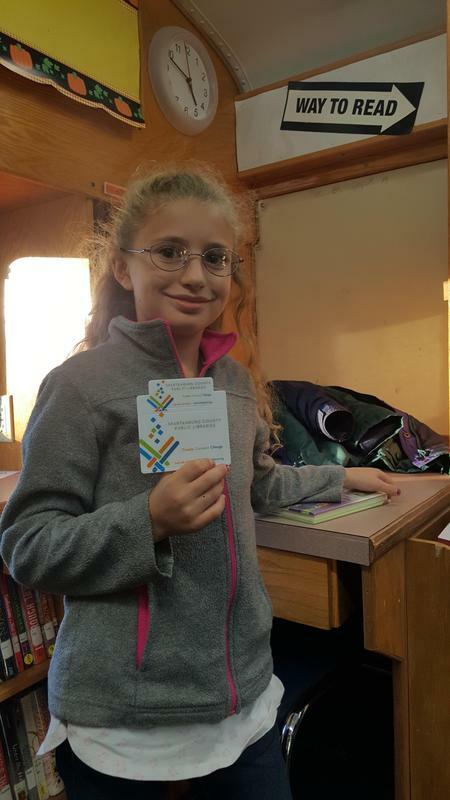 The bookmobile will be at Arcadia every other Tuesday from now until the end of the school year.